Some times, you’ve got to put your money where your mouth is. I’ve never heard of FarmDrop before, until I saw them advertising in the middle of the Bear Pit in Central Bristol. I got chatting, as you do, and I was hearing all of my favourite buzzwords; local, ethical, supporting farmers, organic, FairTrade. I took a leaflet, made my way home and had a google later on. Their website was impressive to say the least. 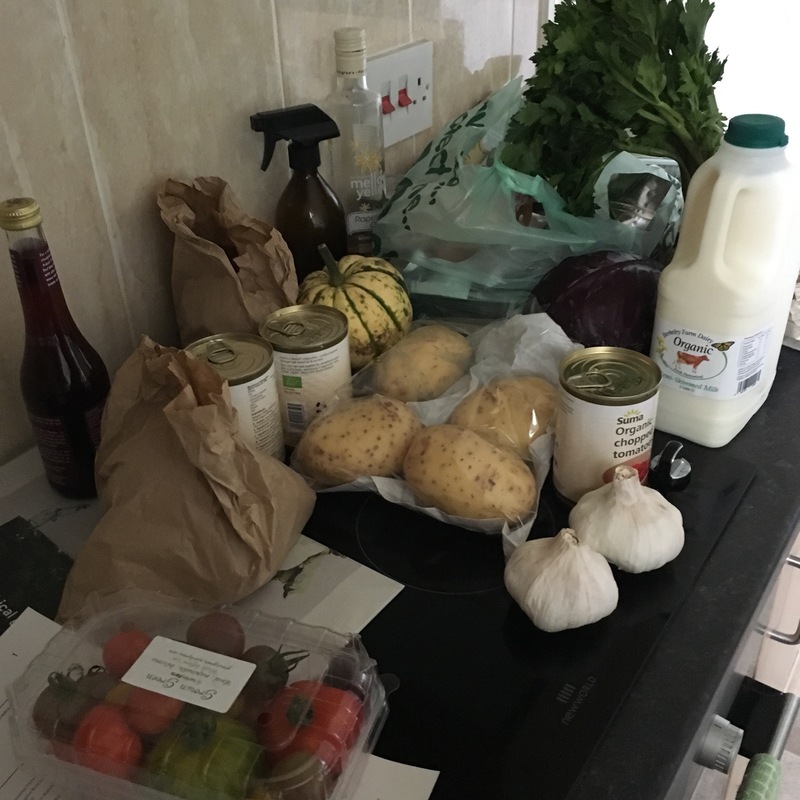 We have £50 a week to spend on shopping and FarmDrop were offering a cracking welcome bonus so it was with absolute joy that I ordered a full shop. I love food shopping. I spend hours browsing items and prices and getting the best produce for the right price. So I know quality bargains when I see them. 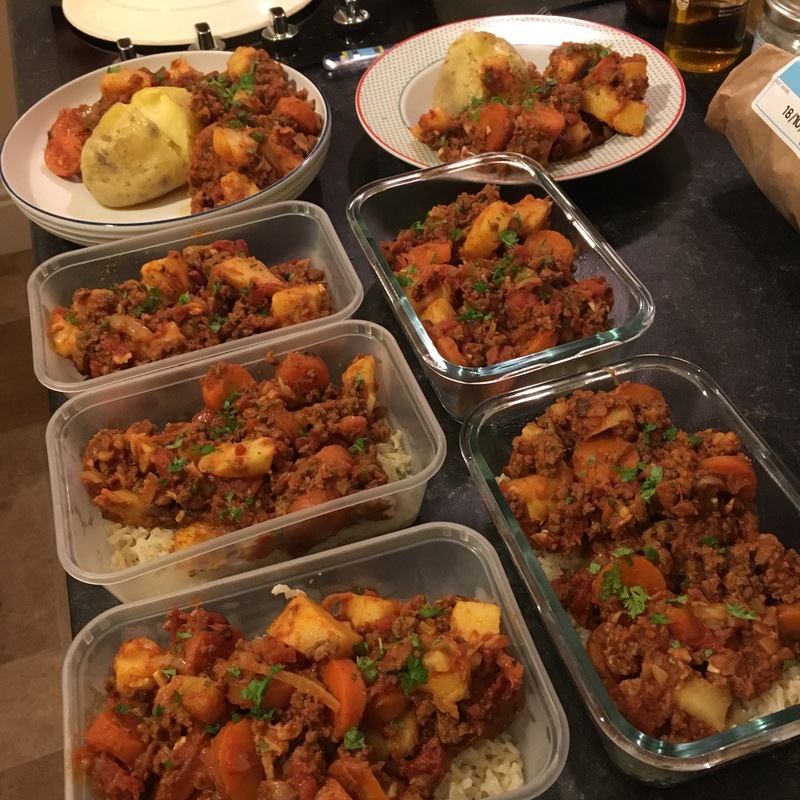 The website was easy to use, so informative and was full of products I couldn’t wait to fill my fridge with. I was also impressed with the actual delivery too. You only had to spend over £30 to get free delivery, or pay just £3 if you wanted a specific hour delivery slot. Chris the driver was polite, chatty and wore shoe protectors into our home which I thought was a lovely touch. It felt like treasure on our work surface. Not since my days shopping at the Winchester farmer’s market have I seen such good quality meat. Grass fed, pasture raised, slow grown – this is how meat is meant to be farmed, with time and respect. The vegetables were bright, no bruises and plentiful. Everything had a good date and was clearly carefully transported. All week, every meal, you could taste the quality. There’s a reason top chefs, those who know the most about good food, hark on about the benefits and taste of local, free range, slow produced food. It. Tastes. Incredible. We had a steak dinner influenced by the Mediterranean who’s main ingredient came from down the road in Somerset. 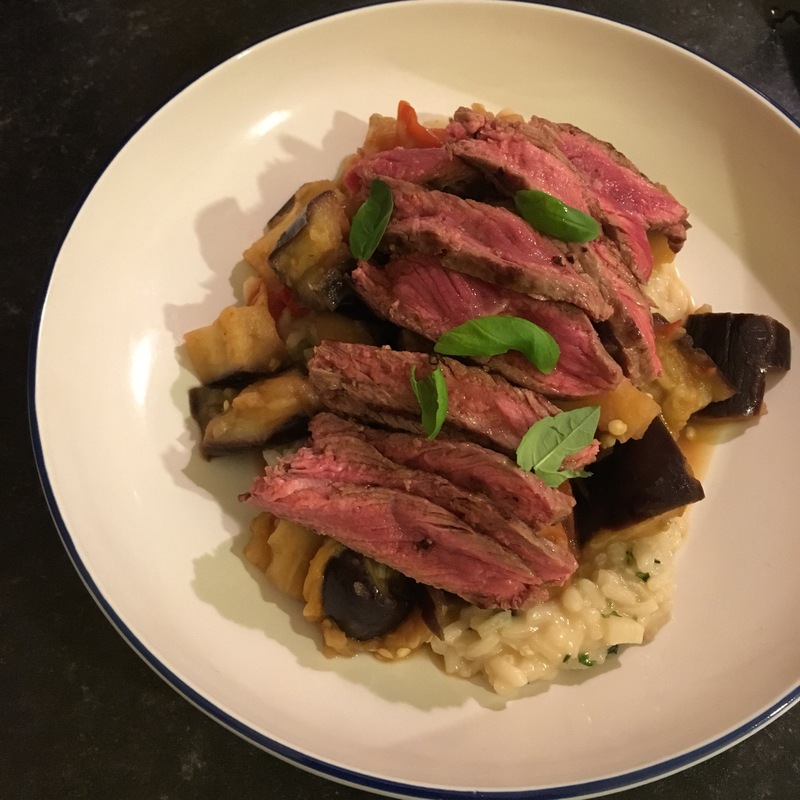 Lawrence declared it to be the best dish I’ve ever cooked, and I feel like I can’t really take the credit, it was all done to the quality of the steak. Even with our vegetarian supper, the rainbow chard made an amazing saag aloo, especially when combined with the beautiful Desiree potatoes. All of the food I ordered from FarmDrop made me feel excited to cook, which is a feeling I really want to continue. It hasn’t had loads of preservatives added to it to make it travel well. It hasn’t spent six months in an air controlled freezer that retains quality but seeps flavour. It’s come from the tree to my kitchen, via an electric powered cow print van. Here’s the catch. You can get many (please note, not all) of the items cheaper in the bigger supermarkets. But as much as they’re trying to fool us, they don’t often come from small scale, local farms, who’s kids go to the local school, who put money into the nearby industries. By spending money in supermarkets, I’m making their bosses richer. By spending my money at FarmDrop, I’m giving my money to people and industries that will benefit so much more from it. I like that, that’s a nice feeling, to vote with your purse and support producers that deserve a helping hand. There are also things that FarmDrop don’t supply yet, like a selection of cereals and almond milk. But they’re growing. And for them to grow, they need people to support their cause. If you live in Bristol, Bath or London, you can use this link to get £30 credit to spend at FarmDrop – and I get some credit too! I would love to continue doing my full shop with this excellent service, to keep supporting the small producers and farmers, and to keep investing in my local area. We’ve had another delivery today, another array of rainbow vegetables, ethically raised meat and organic store cupboard staples. If this sounds like the delivery service of your dreams, then do have a browse following the link and see what you think. Do you use a delivery service for your local or organic items? Which service do you use? I’m so glad I’ve finally found a convenient service that ticks all of the boxes. Are supermarket vouchers a good deal? Your cooking looks very good! I agree with you in supporting local and fresh, and their produce is in most cases better quality!